In many ways, science in the Arctic or Antarctica is unlike research anywhere else on Earth. Where else would you find scientists camping on floating sea ice or rappelling down the side of a glacier? 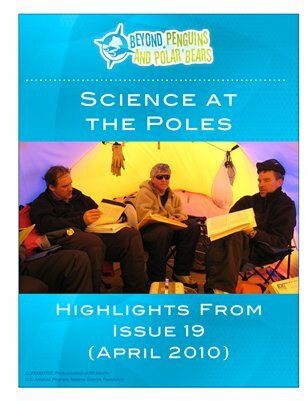 In this issue, learn about the tools and technologies scientists use to study the land, ice, ocean, atmosphere, and living creatures of the polar regions. Students can also learn about the day-to-day life of a scientist working at the South Pole and plan their own research expedition. Including a unit on the logistics of polar science is great way to teach students that while the locations, tools, and technologies may differ, the nature of science remains the same.